If I suggested tracking the food you eat, why would you even bother? Well, studies show that food tracking is one of the most effective ways to lose weight. 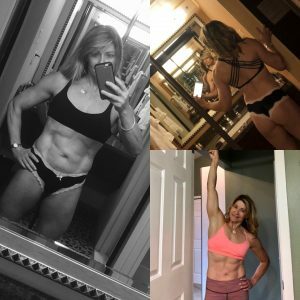 I started food tracking in 1986 when I did my first physique competition. While the nutrition plan back then was ‘low fat’ and I wouldn’t repeat that protocol, the one thing that ensured my success was food tracking. I’ll tell you that one of the reasons I’ve been able to maintain a healthy weight is from the lessons I learned from food tracking. If you a quantum leap in your results, dial in the quantity of food you eat with some coaching…Getting a personalized plan is like driving to your destination with a map. You’ll avoid a lot of unnecessary detours and delays. One way to do this is to get a personalized nutrition plan. I can do this for you, just pop me an email (shawna.kaminski@gmail.com) or click here and we’ll get the conversation started about how this looks. I’ll need to collect some info from you in order to create your plan. *Please don’t fall for online calculators of what your nutrition needs are – an equation without human input is not accurate.